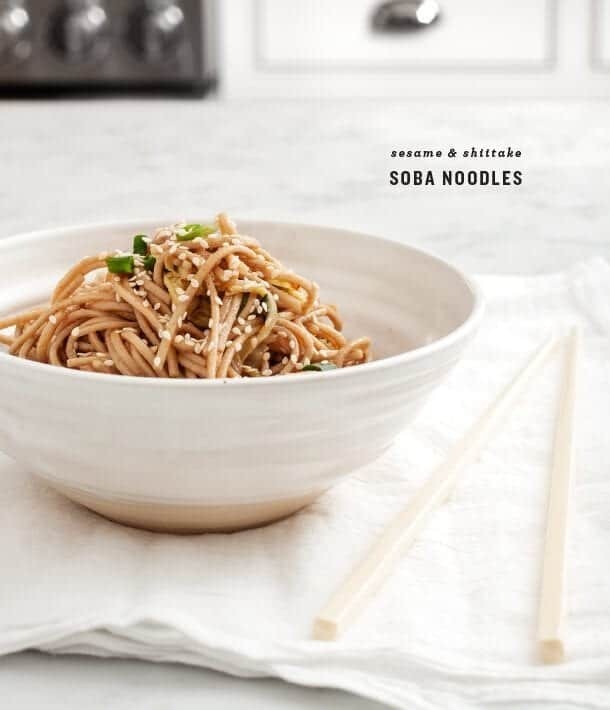 Never cooked soba noodles? 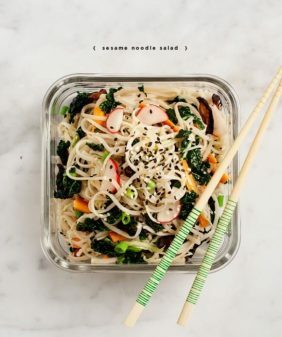 Follow the tips in this post to make a foolproof sesame soba salad that's loaded with veggies and great for weekday lunches! 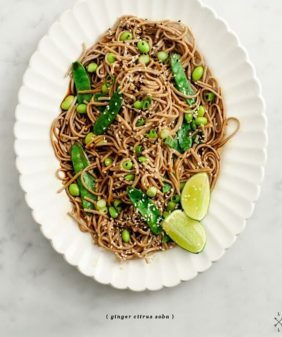 I first made these cold soba noodles a few weeks ago with this meal, and I’ve made them again and again over the last few weeks, for easy dinners and on-hand lunches. The flavors here are pretty simple. Toasted sesame oil and soy sauce lightly coat the noodles without covering up the nutty flavor of the soba itself. Plus, a few good splashes of rice vinegar really brighten this up. I quickly cooked some shiitakes & cabbage for this bowl, but you could just as easily use whatever seasonal vegetables you have on hand. (I think cucumbers would be great here in the summertime). 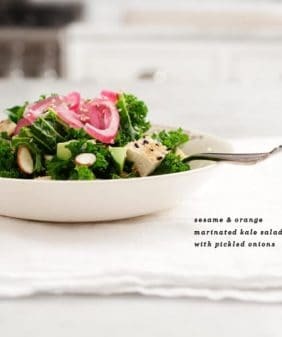 Make it a larger meal by tossing some seared tuna (or tofu) on top… or make it a lighter lunch by mixing in a handful of salad greens. If you’ve never cooked soba before, there are a few things you should know before starting this recipe. It’s easy for a package of soba to turn into a big gummy mess, but if you follow these tips, you’ll have sure soba success! First, unlike regular pasta, it’s essential that you cook your soba in unsalted water. Make sure not to overcook them! Don’t forget to set a kitchen timer for the time listed on the package. When your noodles are ready, drain them in the sink and rinse them thoroughly with cold water to remove starches that cause clumping. Finally, toss them with a glug of oil to keep them fresh until you’re ready to eat! Cook the soba noodles in unsalted boiling water for about 5-8 minutes, or until they’re done but still al dente. When the soba noodles are done, rinse them under cold water. Drain well and transfer to a large bowl. Toss the noodles with a tablespoon of sesame oil and chill the noodles in the fridge. The sesame oil will keep them from becoming gummy. Meanwhile, in a large skillet, heat the olive oil. Add the shiitake mushrooms and cook, stirring occasionally, until they begin to wilt down. Then, add the garlic, cabbage, half the scallions, and soy sauce and cook for another few minutes. Add the mirin and cook until everything is soft. Remove from heat and set aside to cool for a few minutes. When the veggies have cooled, toss them with the soba noodles, a splash of rice vinegar, and the rest of the scallions. Taste and adjust seasonings with your choice(s) of ponzu, more soy sauce, and/or sriracha. Serve at room temperature, or chill until ready to serve. Top with sesame seeds. Store in the fridge in an airtight container for up to a few days. 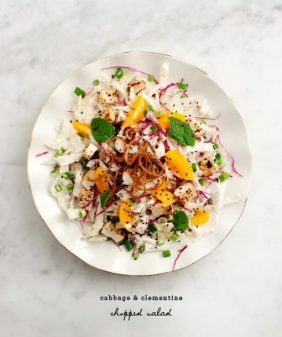 I forgot how simple and delicious this sort of dish is… I LOVE the addition of the cabbage! Do you think Savoy would work well? Yep, savoy would work just fine, I’ve even used regular green cabbage, sliced thin. I’m in the process of working on a webpage however, I have to say I loved, loved this recipe and would recommend to all my friends. Sooooo,, yummy and easy to make. 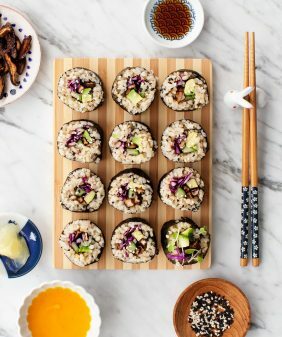 i have been experimenting with a lot more asian-inspired recipes. this sounds amazing. can’t wait to try it! 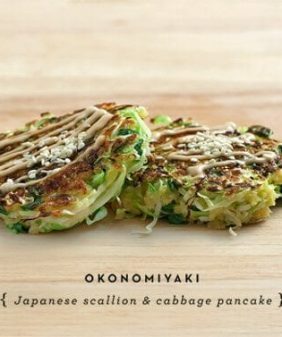 This seems very easy to make, but looks delicious! A perfect weekday meal. Yum! I love cold soba, and with temps poised to start climbing any minute now, I’m about to be looking for more non-hot meal options. Pinning to try! I just love this. 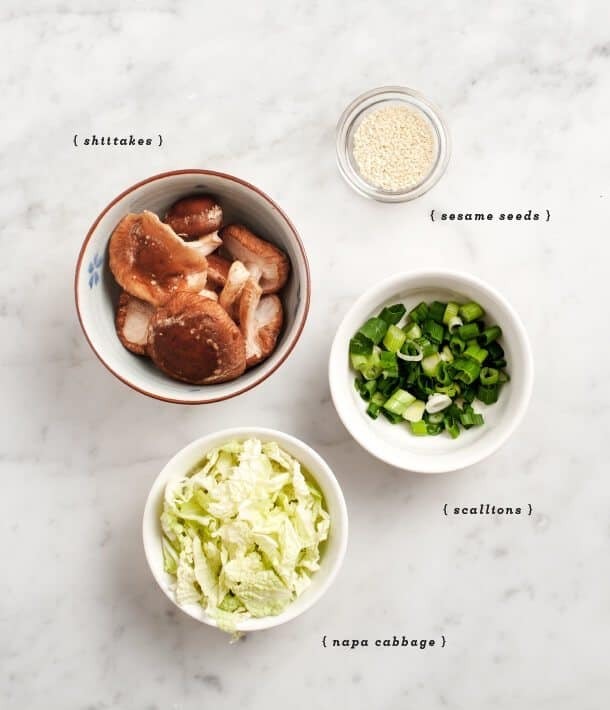 It’s so simple, but with the mushrooms, sesame oil and other flavors it must be delicious — A must try. Thanks for sharing. Tried this for lunch today and it was delicious! I will definitely make it again, thank you for sharing!